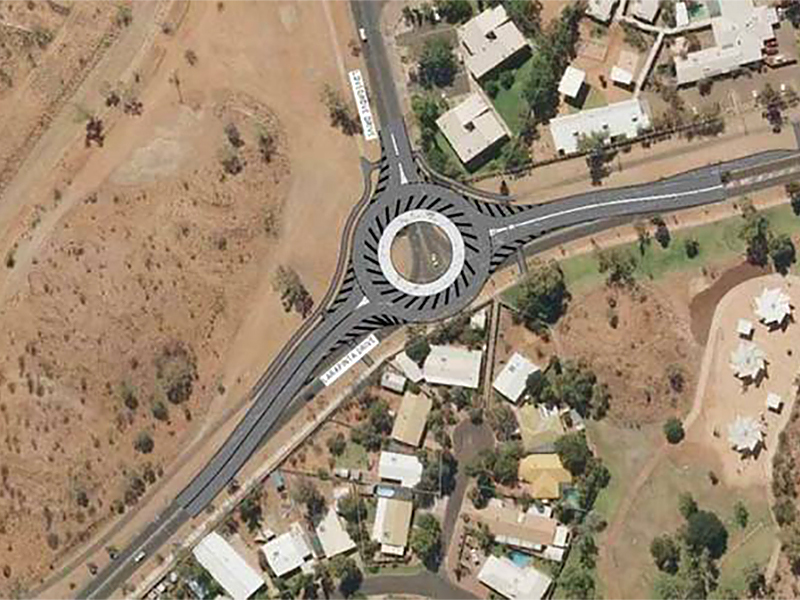 The $4.5 million project funded by the Northern Territory Government to improve the busy Larapinta Drive / Lovegrove Drive intersection is progressing well and should be completed by June 2016. Local company, BMD, was awarded the contract to design and construct a single lane roundabout at the existing intersection. Asphalt resurfacing of Larapinta Drive from the intersection to Memorial Avenue is also included in the works. Artist’s impression of the Larapinta Drive Lovegrove Drive intersection upgrade.